When it came time for me to go back to work, the same thought circled my mind again and again; is this the best thing for Ella? So many parents of kids with special needs or different abilities ultimately decide not to work, for any number of reasons. If it had been possible, I would have stayed home; the appointments and exercises enough to fill the days. But, I had to work and with a nanny highly recommended from a NICU staff, I re-entered the workforce with my faith in Ella’s strength and courage. Finally, it was time for the girls to start daycare and I was sure that lightning could not strike twice. Nightmares of Ella being left in a corner while other kids ran around her playing, or the kids asking loudly why Ella is “different.” But, her teachers have been amazing, the other kids treat her like a superstar, and all the reasons why I wanted the girls in school far outweigh any difficulties that may arise, including the constant germs. So, when I arrived at the girls’ classroom for their Christmas party, I wasn’t sure what to expect. But, I opened the door, and though Raegan spotted me, Ella didn’t. There, she sat in her adapted chair, clapping and singing along to the music, and so so happy. I could not hold back the tears; my sweet girl, front and centre, the life of the party. 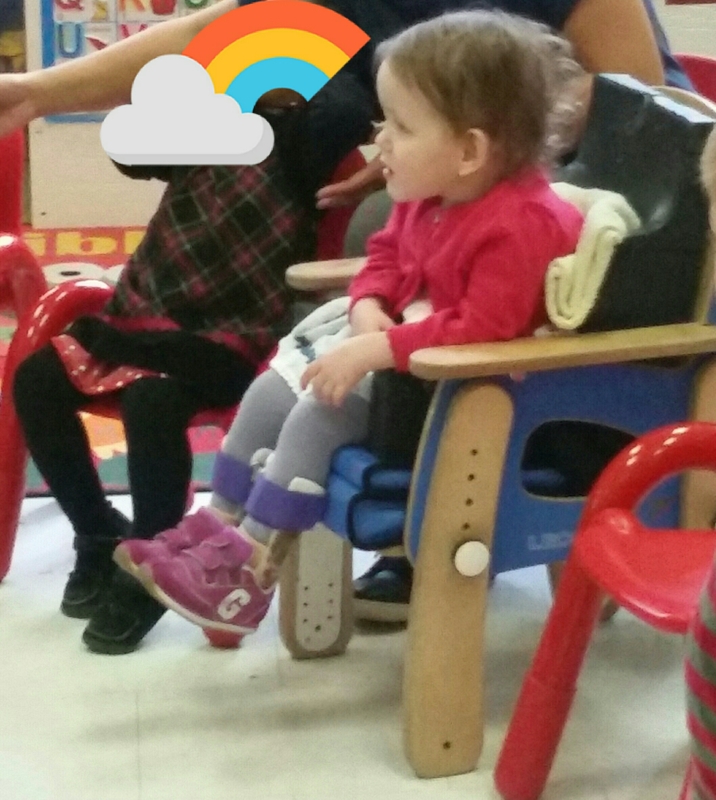 Once she saw me, the two girls had to sit on my lap and the other kids showed their parents Ella’s chair. Thoughts of her being forgotten have evaporated; she can’t fade into the background, not because of her AFOs or her walker or her stander, but because she’s Ella, and everyone loves a superstar. 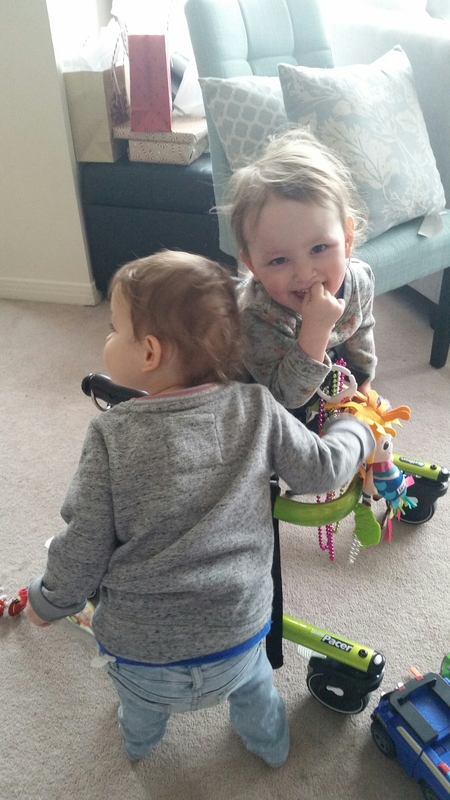 This entry was posted in Baby love, Home is where the heart is, Mamahood and tagged adapted, cerebral palsy, equipment, hydrocephalus, identical, inclusion, momo, mono mono, motherhood, NICU, parenthood, preemies, preschooler, school, special needs, special needs parenting, toddler, twins. Bookmark the permalink. Whoa, Ella looks EXACTLY like Braeden in that last picture!